In Mathare Valley MOHI spreads the Word to those in the community by an outreach program called Bring the Light..
Bring the Light is a special project designed to teach a spiritual lesson through a physical demonstration. Workers at MOHI visit homes in the community and share the Word of Christ. “Home” is a loose description of the shanty that most of those in the slums live in. A shanty consists of wire, wood, and a thin metal roof. In most cases there is no light sources in these homes, making it difficult for those who live there to complete simple tasks..that is why many of those who occupy the shanty stay outside. But this all changes with Bring the Light. Teams come in and install a small Plexiglas skylight in the roof to create light. While this is happening a local pastor makes the connection between how a skylight bringing light into a dark room is similar to the spiritual light Christ offers us in this dark world. It’s a joint effort between local construction workers to construct the skylight and local pastors to give the message to makes this project successful. I share this first because I think it’s incredible and secondly because my friend came across another version of this being done in Philippines..breaks my heart in a good way, and makes me miss MOHI even more. 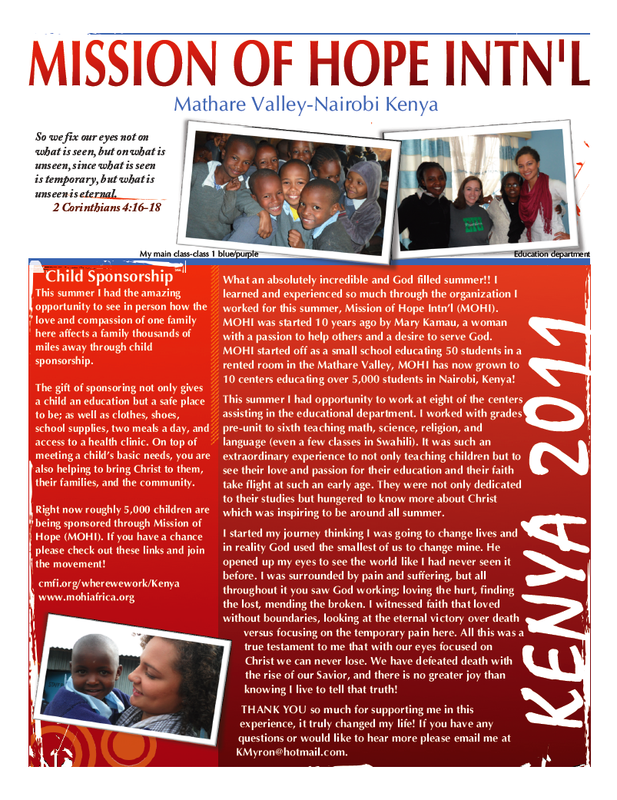 Check out this video..
“Nairobi, Kenya July 2012.” Christ’s Church of the Valley. N.p., n.d. Web. 16 Sep 2011. <http://www.ccvonline.com&gt;. Monday- Today we (Sarah, Emily and I) spent the entire morning trying to type out exams as fast as we could so we could spend the rest of the week with our kiddos. Well…no such luck..some time early afternoon we received another exam to type and on top of that the power went out. Even though the power went out and we didn’t get to finish the work we did get to spend the afternoon in our class 🙂 I didn’t realize how much I needed to see them. I was getting a little stressed from the work and the joy I saw when I walked just washed all that away. God knew I needed it. Tuesday- All of us headed out to Joska to visit the school. Gosh those kids are a crack up! They put on a talent show and it was such a kick to watch. They did everything from dancing to truth-or-dare (that was pretty funny). My highlight was getting to meet Sarah and Ruth. These two “smart,” young women are sponsored by two amazing families from my church. I met Sarah first..she is an outgoing, funny, and TALL young woman with so much light in her eyes. I met Ruth shortly afterward. She is shy at first but relaxed after talking a bit..she has a very sweet nature about her. It was so funny..I couldn’t find Ruth so Sarah went and got her for me and no joke there is at least a two foot height difference..I couldn’t help but giggle. Thursday- Today was a down day. We were done typing exams so we spent the day talking with people and visiting our classrooms. I’ve said it before and I will say it again…I LOVE class 1 purple/blue. These kids are so awesome. They crack me up and break my heart in a good way. So many of them have so little yet want to share so much. I may be bias, but I think they are the best class. So I spent the morning/afternoon in my classroom. We went out for P.E. and played Mr. Fox and duck, duck, goose. Once we went back to the class we spent the time eating candy and joking around (it’s technically their summer already). It wasn’t until the afternoon when I had to leave to go to our farewell that it hit me that I won’t see my kids again. I was walking out the door and a little girl named Faith said for me to come back Monday..it broke my heart to think that I wouldn’t be there. We ended the day at MOHI with a farewell gathering..we said our goodbyes and took pictures with staff… It was heartbreaking. I’m going to miss them all so much. Well I’m sorry to end on a sad note..but I have to run..I hope to complete this later. Side note: Please, if you can remember, keep my family in your prayers. My grandfather past away this last weekend and it’s hitting us pretty hard. Exam time is upon us! All week the kiddos at all the centers have been doing their exams. So seeing that there are no students to teach, we here in the education department have been working on the entrance exams for next year. Oh my goodness 5 days of typing questions and diagrams…intense. Thursday- Played soccer with the locals..was reminded why I didn’t play in school-I’m terrible! It was a lot of fun though hanging out with them and doing devos. Friday- Watched Mrs. Doubtfire, ate burgers, and enjoyed orange floats at Erin, Justine & Bethany’s place. First off, I just want to say I love you all. Thank you everyone for being such wonderful supporters. I honestly cherish the messages and letters I’ve received. I’m so incredibly blessed to have such loving people in my life. With that I have to inform you that as of today I’m limiting my communication with everyone to this blog. I no longer have my phone and my fb will be turned off..I’m going to cherish this last full week in Africa by spending quiet time with God..I want to finish this race strong. I love you all! Therefore we do not lose heart. Though outwardly we are wasting away, yet inwardly we are being renewed day by day. 17 For our light and momentary troubles are achieving for us an eternal glory that far outweighs them all. 18 So we fix our eyes not on what is seen, but on what is unseen, since what is seen is temporary, but what is unseen is eternal. Last weekend-It was the first time we had nothing planned all weekend and we didn’t know what to do with ourselves, so we hopped a matatu and headed out towards Banana (yes, Banana). A group of us ended up going to The Village Market..it was surreal. It was as if we walked back into America. We had found out where all the tourists were hiding. It was really bittersweet because it was beautiful, but it revealed just how big the gap is between those with money and those without. It made me sad to think that many people I work with would never get to come here and if they did they would feel out of place..I even felt a little out of place. We did have fun though…a few of us went mini golfing and others went to the water park (yes, that is how ritzy it is). All in all we had a fun weekend team bonding. Monday- We stayed at Pangani today! I was in class 1 purple again. “Man alive” I love those kids. I got to go through review with them and help them with corrections. They are so precious. There is one little one that cracks me up. Little side story: We were doing English and he was getting tired so he started sucking is thumb while doing his work and eventually fell asleep (he is maybe 6)..gosh it was adorable. Wednesday- My roommate and I both woke up sick this day. My body just ached and I had this horrendous cough..it wasn’t bad it just sounded terrible. We both ended up sleeping all day only to get up to eat then return to bed. To make matters worse I missed out on going to Mathare North, again! blerg! Hopefully we will get another chance before we leave. Thursday- To Kiamiko we go! As I stated before all the schools are preparing for exams and everything is getting pretty hectic..and we saw that first hand at Kiamiko. I’m pretty sure they forgot about us because we were left in the office for quite a while. We ended up doing corrections for most the day and creating diagrams for classrooms. Highlight of the day though..Sarah, Emily and I became masters of the squatty potty! For those of you who don’t know what a squatty potty is it is a bathroom that consist of a roll of tp, a door, and a hole in the floor. Most centers have alternative bathrooms, but not here. We all walked away holding a heads a little higher. Friday-Today we all stayed at Pangani…though we were not in classrooms. We were on desk duty writing the exams for high school. It was easy until they handed us the Kiswahili exam section. We all had to copy a story and write questions in Kiswahili..I have never typed so slow! Felt pretty good about it..I pray they read over it though because I have NO idea what I typed. So the entire day was spent typing tests for the exams that start Monday. We finished around 5 pm and just in time because we were all getting a little burnt out. We ended our night by doing some team bonding..going to a movie. It was much appreciated because everyone had had a full weak. It felt good to relax have some popcorn. All in all I had a great week. It’s so sad to think we only have two weeks left. I’m not ready to come back. I don’t feel like I’m done here..I feel like I have barely started. Prayer request: patience, clarity, and openness. A few weeks ago I wrote about struggling to understand the spiritual battle that is taking place here. The week before last was definitely God’s week of answering my questions and revealing the battle even more. Our team has been exposed to a lot lately and it has tested and strengthened individual members as well as the team as a whole. At the beginning of this mission, I was tasked-oriented and to a major fault. I’m realizing now that God’s use for me is not to get a lot done, but love as He does and be a light to others. Relationships are huge here and it’s because it’s one of the greatest defense we have against him who opposes Christ (Ecclesiastes 4:9-12). Many of these people have incredible and inspiring faith..pray that this community grows as well as continues to reach those who are lost. 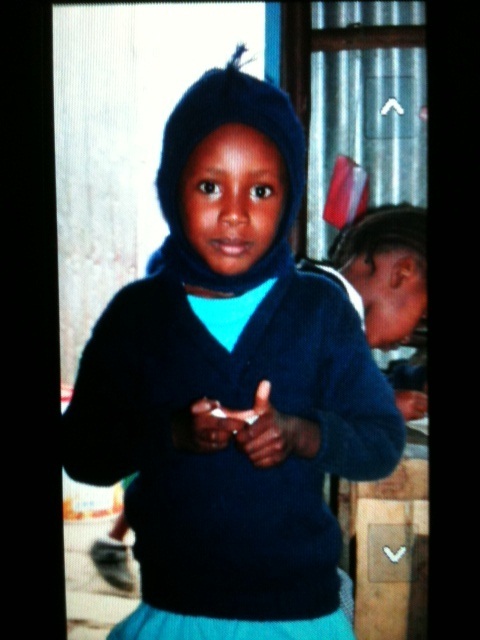 7/1- Today I got to meet some of the children who are sponsored by members at my church! It was incredible! They were all such sweethearts…definitely caused me to tear up. I loved getting to meet the kids and hear them talk about people I know back home. P.S. If you sponsor a child they all want information about you. They like knowing about your families, hobbies, and they LOVE pictures. 7/3- Church at Kosovo with Pastor Wallace. The youth group was incredible..the lesson was about the struggles we have with personal idols, which are anything in our lives that take us away or distract us from following Christ. It was very thought provoking. 7/5- First time teaching class all by myself without a teacher in the classroom. 🙂 We did group art project and then I had them draw pictures for the sponsors..Heads up sponsors some of these kids are incredible artist. 7/6- I think I found the class I want to stay in forever! Pre-unit One at Mabatini! I love those kids! They taught me my ABC’s in the coolest way (it’s a dance). I was blessed to spend the day with them teaching them about weather days and parts of a plant. God was most definitely smilingly on me through those little kids. I had a blast. Bwana Asifiwe for all the wonderful people in my life! I love and miss you all. How often do we miss it? I direct this question to myself more than any of you. Monday- Sarah and I worked at Kosovo. I worked with the pre-unit, class four and five (equivalent preschool & 4th and 5th grade). I got to draw diagrams for the little kids about clean water and help grade their homework. For class four, I got to teach a Christian Religious Education class. We went over what it meant to be a Christian leader in your community and how you can be one today. To be honest the class went fine, but it was a little stressful because I was given the class material while I was eating lunch and had maybe 5 minutes to prep for class. Still, I had a blast reading the Word in front of them and getting them to think. In the class 5, I got to do art with them..I was all for this! I had them sit in rows of three and each child had to draw a part of the body (the face/shoulders, torso, hips/feet) and they had to do this without seeing what the person before them drew. The pictures turned out great and all the kids laughed at their crazy drawings. Hands down best part of the day was teaching the children Red Light/Green Light which turned into a game of capture the mzungu (white person). Sarah and I would point to each other and tell the kids to get the other teacher..which was scary when you were being chased by close to 150 kids. Loved every moment. Tuesday- I worked at the main centre, in the Spiritual Development Department, helping out with VBS. It was a lot of fun. I got to help the kids make necklaces and learn a Bible verse. Later on after Chai time, the church that was leading VBS, taught a Bible story and songs…the kids loved it. In the afternoon Kylie, Melissa and I worked on creating devotions for the pre-units for the following term. Low key wonderful day. Picture to the right is some of the kids after VBS. Thursday- Sarah, Emily and I worked at Area 2. Hands down my favorite school to work with thus far. The school only goes up to class 2 (equivalent to 2nd/3rd grade) so I got to work with the little kids! Side note: Don’t get me wrong I love working with older kids…but the little ones are just so precious. I worked in class 1 helping with math and homework corrections. It is incredible what those kids are learning at such a young age. Some of them aren’t even seven yet and they are learning two languages and doing double digit subtraction/missing box equations (ex. 53-___=21). After we were done teaching in the classrooms the head teacher called a meeting with all the teachers we had worked with to ask if we had any recommendations for them. I didn’t have anything negative to say.. I think the teachers there are doing an amazing job. The teachers I observed were dedicated to their kids success and took time to help each child. The teachers have a genuine desire for the children in their class to know the material and succeed in the education. It was inspiring. Friday- We all worked at Kiamaiko. This day was harder than the rest. My roommate and I have decided to start the mornings off reading one of Max Lucado’s devos before walking out the door…just to start the day off right. I left for the center feeling at peace and ready for the day. As we all walked to the school I was approached by a man. I tried to ignore him at first but he was persistent. He told me I wasn’t a child of God and that I didn’t love God nor did He love me. He walked next to me the entire way saying profanities and ended with telling me my days were numbered. There is no other way to describe this encounter other than an attack against my faith. I’ve been told where God is persistent and present so is the devil. There is a spiritual battle going on here and today was the first time I saw it. My soul was unsettled after that. We spent our first few minutes at the school in prayer for our group and this community. Guys, I know the Lord is my father and that I am His child…but how many adults in that community know that? Walking back at the end of the day was just as hard. Even though we weren’t approached the air was thick, your heart felt heavy, and you could just feel darkness. I thought I was the only one experiencing it, but we all felt it. Please pray for this community. Even in the darkness…light is present. God is here and He is moving in big ways. Pray for the continuing growth in believers and for people to seek Him in their dark hours. I love and miss you all! As some of you may already know, getting to Kenya took us a bit longer than we expected. For those who don’t know..here’s what happened. We arrived at the Indy airport at 3 on Tuesday to catch our 6:30 flight to Chicago, only to find out at 6 our flight was canceled due to maintenance problems (counting that as a blessing from God that they found that out before). Anyways, thanks to one of our awesome team leaders, Scott, we were able to get a flight to Chicago later that night…but we would still miss our connecting flight to London so we had to stay the night in Chicago. The airline put us up in a hotel in Chicago and I got to have my first real deep dish pizza. 🙂 The next day we flew out bright and early to London only to miss our connecting flight to Kenya…so again the airline put us up in a hotel and we got to spend a whole extra day in London. After 3 days of travel and 3 different time changes we finally arrived in Nairobi, Kenya at 8 am Friday..it felt good to be on solid ground. To help us adjust to Kenyan time, which is 10 hours difference from Oregon, they wanted to keep us awake all day. Well…that didn’t work.. at lunch I fell asleep at the lunch table while orientation was going on. Once we got up and moving to see the different departments and kids I was awake. MOHI is incredible!! All the kids want to say hi or give you a high-five. Everyone is so welcoming and loving. We got a chance to go out and do some home visits in the slums. I was introduced to a woman named Nancy who lived in a small house with 10 other people (mainly children). She was so appreciative of us visiting and she was so proud of all that she was blessed with such as food, shelter, and God…this was humbling because it’s all things I take for granted. She has so much strength, faith, and trust in the Lord..it’s beautiful. After visiting her, I honestly wondered who was going to be taught more this summer, me or them? Guys, their love for the Lord is incredible and inspiring! They are grateful for everything! Yes, there are some who are not…but for those who have Christ..you see where their joy is. They see things as eternal…these struggles are only temporary to them. This gave our team a lot to think about as we headed back to our dorms. Last weekend we enjoyed a wonderful day out with some of the locals who work at MOHI. They took us by all the areas we could go..and those few areas we should avoid. We enjoyed the sunny weather and the local market. Later on that evening, we all went to Mary’s house for a delicious dinner ( I think chapati may be my new favorite food). David, their son, was wonderful entertainment. He was singing and dancing for us..such a ham! The following day we went out to Joska to church. SO many kids there…heaven. We got to sing, dance, and praise Jesus with them! 🙂 They worship so freely..with their entire body. Doesn’t matter if you can’t sing or dance you do it anyways. I love it. We spent most of Sunday looking at the school’s new additions and taking pictures with the kids. I got hold the sweetest/calmest baby – such a bundle of love. After Joska, we got some much-needed down time to catch up on journaling and sleep before we started work Monday. I could already tell then this summer is going to be one of incredible growth and understanding in Christ. So Monday/Tuesday were orientation days. Monday was incredible. My group got to tour around the slums with the spiritual development department and talk to new believers. Again my heart broke because these women have so little and moving up to them in the slums meant not living near sewer. They all say the same thing…God must have a reason for this and they are going to trust in His plan. Sidenote: You can see the positive impact MOHI has had on the slums. 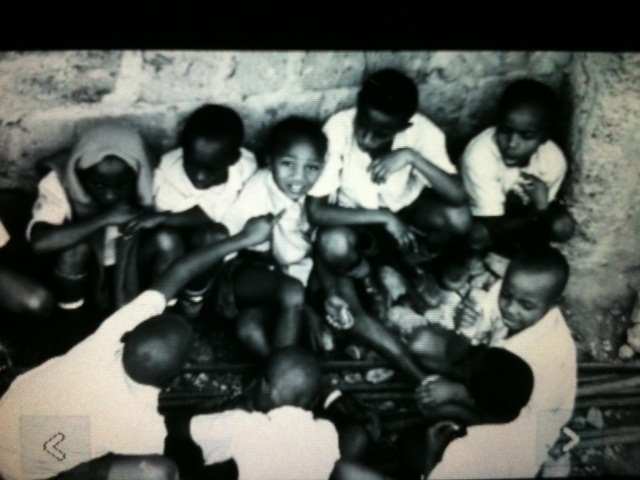 They have brought hope for a better future to the children and faith to the adults. They even have a clinic set up that is free for families to come get medical attention as well as provide information on HIV/AIDS. …so by Monday evening many of us were emotionally drained. I also started to feel a little under the weather and by the time Tuesday came I was really sick..I’m not sure if it is due to lack of sleep and poor adjustment or nuzzling those kiddos at Joska (I’m going to go with the first)..but I was down. Wednesday came and went..and I was still sick along with 6 other team members. By Thursday I was done letting my body get the best of me so I went..best decision! Emily and I got to go work at another school teaching different grades. She worked with 4th grade (called class here) and I worked with nursery (kindergarten) and first grade. LOVE IT!!! I taught the first grade cursive and helped them with math. I also got to correct their work books and they all swarmed to show me their work, so I had to sit down. While sitting down I had a little girl become intrigued with my hair and when she thought I wasn’t looking she touched my hair. I couldn’t help but laugh and grin at her. I honestly could have stayed there all day…they were sweet and loving…and they WANT to learn…it’s a privilege to go to school here. Some classrooms have no lights and so the kids have to hold up their homework to try to get some natural light to do their work. Multiple kids were sharing pencils and there was one eraser for every five kids. These young kids are learning multiple languages and travel far distances to get an education. Can you do what I do? Guys please if you could send up prayers for all the teams that are flying out today. It’s been joyful goodbyes..because we all know this is what we have been called to do and we will eventually be reunited. Love and miss you all!! See you in 2 months!